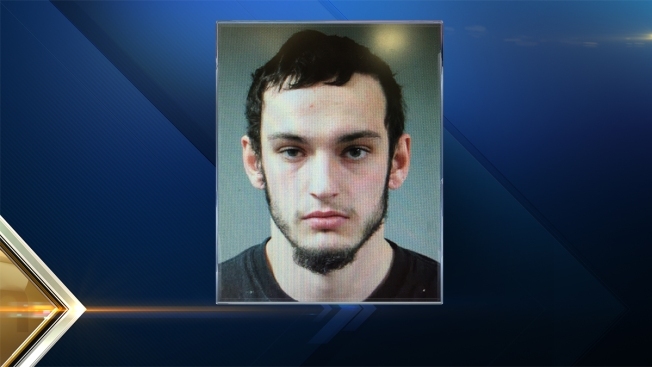 A Vermont man is facing multiple charges after he allegedly strangled a woman, discharged a gun, and fled with the woman's 8-month-old daughter. Vermont State Police said they responded to a residence in Mount Holly around 9:25 a.m. Thursday for a reported "physical citizen dispute complaint." They were told that a male subject had discharged a firearm while at the residence, and then fled with a baby. Troopers spoke with the victim, who advised that Dennis Hale, 20, of Mount Holly, had strangled her during the course of a dispute, and upon leaving had discharged a handgun. A restraining order was in place at the time prohibiting him from contacting the victim. A short time later, Hale was located driving on Route 103. Troopers stopped his vehicle and took Hale into custody. The child was located inside the vehicle and reunited with her mother. Hale was charged with first degree aggravated domestic assault and violation of an abuse prevention order. No one at the residence was injured as a result of the firearm being discharged.